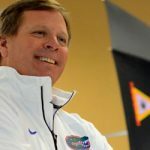 The Florida Gators have not been shy about their desire to add quarterbacks since head coach Jim McElwain took over the program. 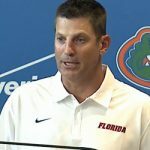 Looking to give competition to Florida’s potential starters and stock up the depth chart for the future, McElwain has been searching far and wide for help both from transfers and high school prospects. That and a prior relationship with offensive coordinator Doug Nussmeier is what led to Sunday’s statement from Yahoo! Sports‘ Charles Robinson that five-star 2015 QB Ricky Town (Ventura, CA) could see Florida as an attractive transfer destination. Ranked 97th in 247Sports Composite for 2015, Town originally committed to Alabama but dropped his pledge to the program after Nussmeier, the team’s offensive coordinator at the time, left the Crimson Tide for the same position at Michigan. Town subsequently committed to USC, which is located just over an hour from his hometown of Ventura, two weeks before national signing day. As a transfer already enrolled in school, Town will have to sit out a full season if he moves on to another FBS program. 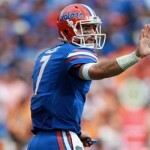 The Gators are currently in the process of choosing their 2015 starter with redshirt freshman Will Grier and sophomore Treon Harris battling it out in fall practice. Behind those two, Florida only has redshirt senior graduate transfer Josh Grady (a one-year stop-gap reserve) and redshirt sophomore walk-on transfer Luke Del Rio. 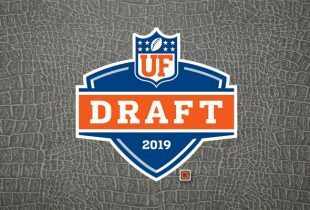 UF did not sign a signal caller in the Class of 2015 but does have three-star Kyle Trask (Manvel, TX) committed for 2016 and four-star Jake Allen (Fort Lauderdale, FL) committed for 2017. Allen is ranked No. 161 overall in the 247Sports Composite. Just curious.. Would Ricky need to sit out the 2015 season or the 2016 season. If he transferred when could he play for us? Not sure how these rules work. Thanks. Forget recruiting a QB when you can grab transfers. Has he pulled another rabbit out of a hat?